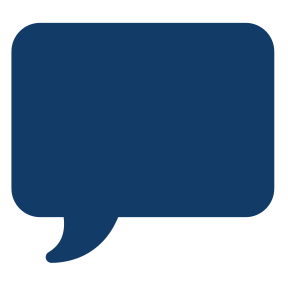 This 0-25 LPM adjustable click style regulator uses a CGA870 connection with a BARB outlet and has 2 DISS power take-offs and operates at 50 PSI. 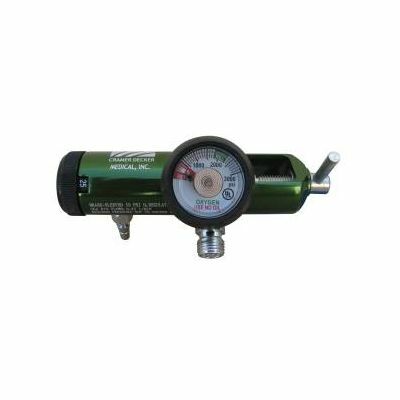 At only 5.25" inches in body length this regulator is extremely compact and weighs only 1.00 lbs. 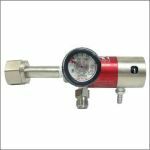 To ensure safety, reliability, and durability, this regulator is manufactured from brass and aluminum. 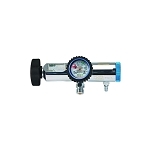 This regulator can be set to 0, 0.5 , 1, 2, 3, 4, 5, 6, 8, 10, 15, or 25 LPM. 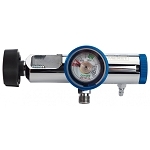 All flow rate indicators are labeled in fractions for easy reading. 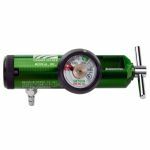 The regulator includes an impact resistant gauge with gauge cover and is anodized in dark green.